Mark Powell is the Co-Founder and Owner of Discovery Property Group, Inc., an independent real estate brokerage in San Diego, California. 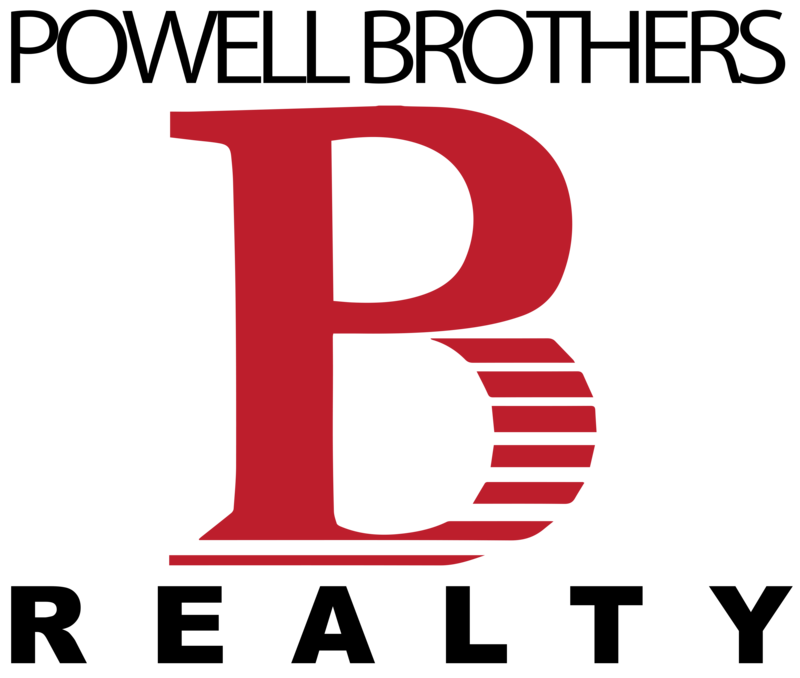 Mark’s company provides Residential and Commercial Real Estate services. In addition to specializing in Foreclosure, Short Sales and other distressed property solutions. Drawing on his experience as a former school vice-principal, Mark maintains client communication and professionalism as a top priority. Apart from ensuring the success of his brokerage, Mark currently serves as Vice-Chariman on the Greater San Diego Association of Realtors Political Affairs Committee. 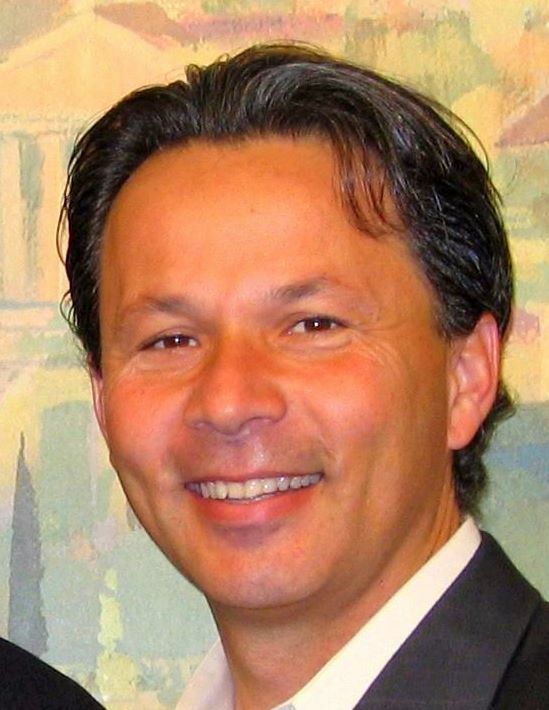 In 2009 Mark was the Chairman of the Educational Services Advisory Committee for the California Association of Realtors and was the Vice-Chair in 2008. Mark’s educational experience includes the completion of a Bachelor of Science in Criminal Justice Administration, a Master of Science in Educational Counseling and a Master of Arts in Educational Administration. Mark is also a 1995 graduate of LEAD San Diego. 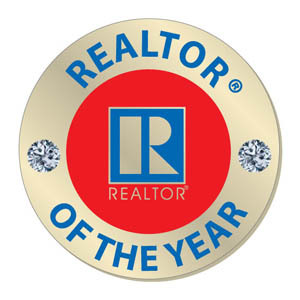 Mark has continued his education in the real estate field and accordingly has been awarded a variety of certifications, recognitions and awards including the Greater San Diego Association of Realtors 2014 Realtor of the Year. 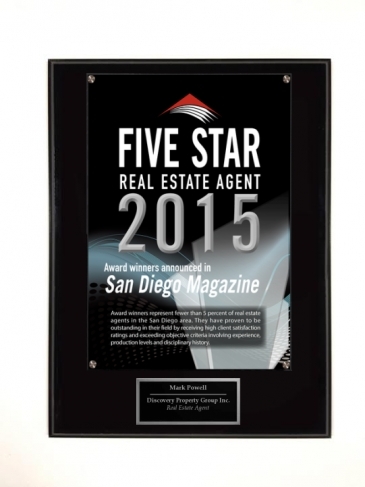 Mark also earned San Diego Magazines 5-Star Real Estate Professional Award 2011, 2012, 2013, 2014, 2015, 2016. 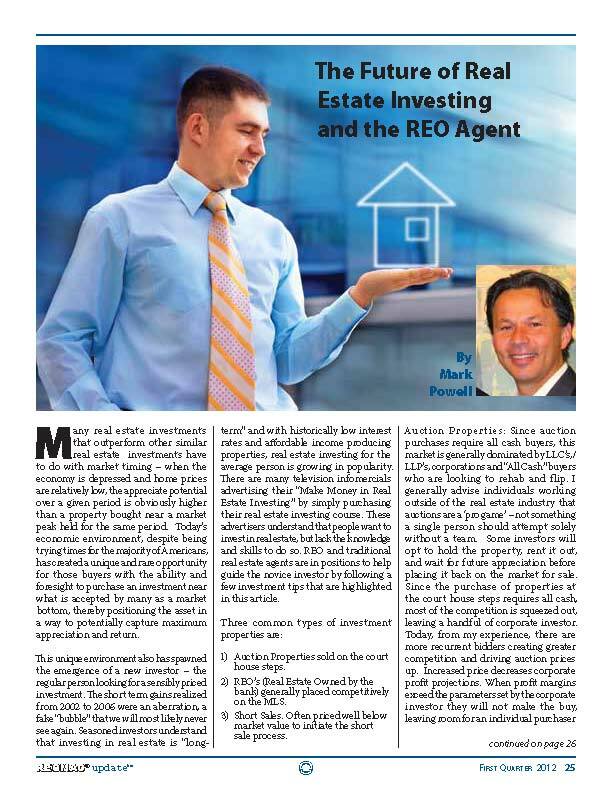 In order to promote the dissemination of information to real estate professionals, Mark has written several articles on real estate topics and has been published multiple times in REOMAC’s Newsletter. During his off time, Mark volunteers at several other charitable organizations and served as the President for the La Jolla Sunrise Rotary. He is also a member of the La Jolla Presidents Lions Club and also volunteers his time building props for his children’s youth theater J*Company Youth Theater. 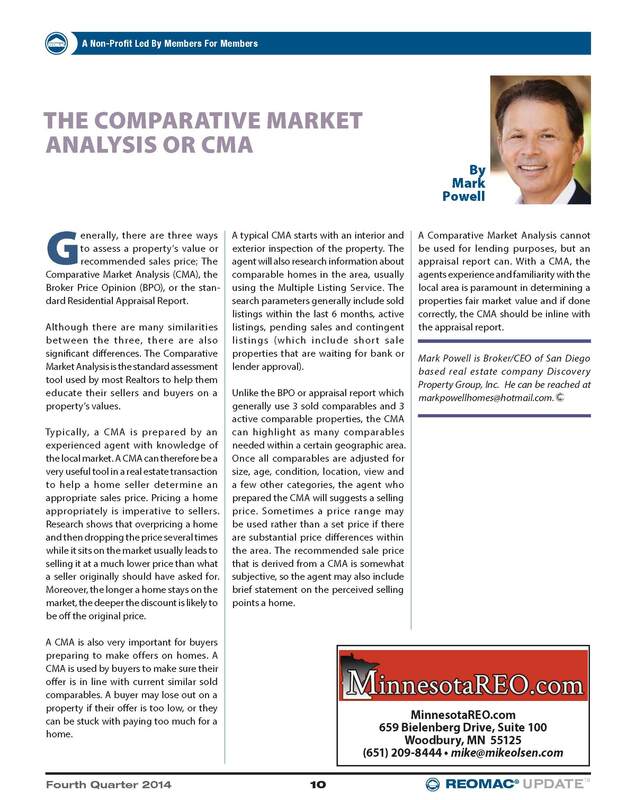 THE COMPARATIVE MARKET ANALYSIS OR CMA (January 2015) Generally, there are three ways to assess a property’s value or recommended sales price; The Comparative Market Analysis (CMA), the Broker Price Opinion (BPO), or the standard Residential Appraisal Report. Although there are many similarities between the three, there are also significant differences. 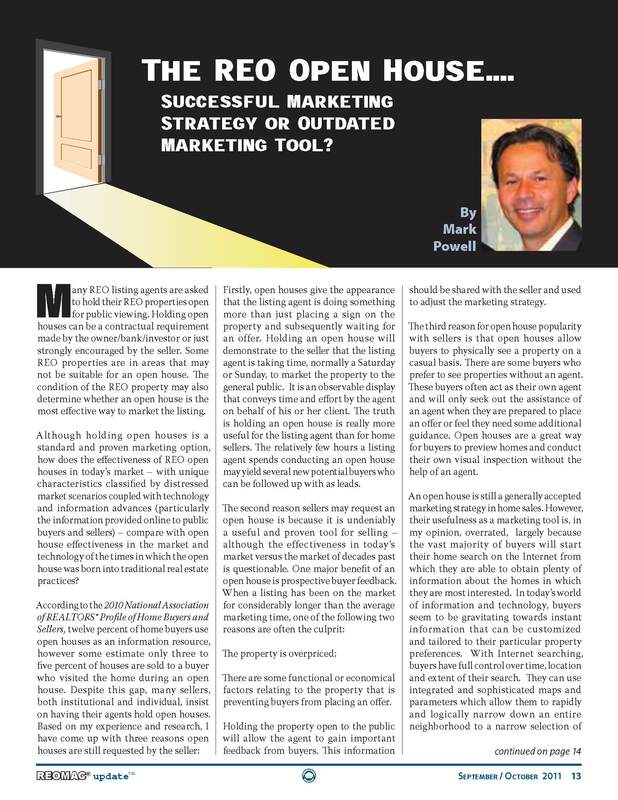 The Comparative Market Analysis is the standard assessment tool used by most Realtors to help them educate their sellers and buyers on a property’s values. Page 10. 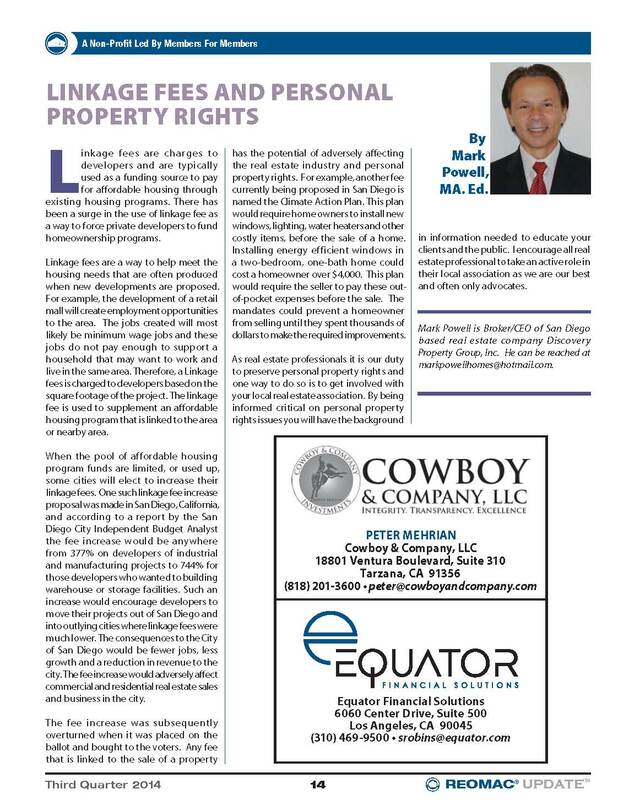 Linkage Fees and Personal Property Rights (August, 2014) Linkage fees are charges to developers and are typically used as a funding source to pay for affordable housing through existing housing programs. There has been a surge in the use of linkage fee as a way to force private developers to fund homeownership programs. 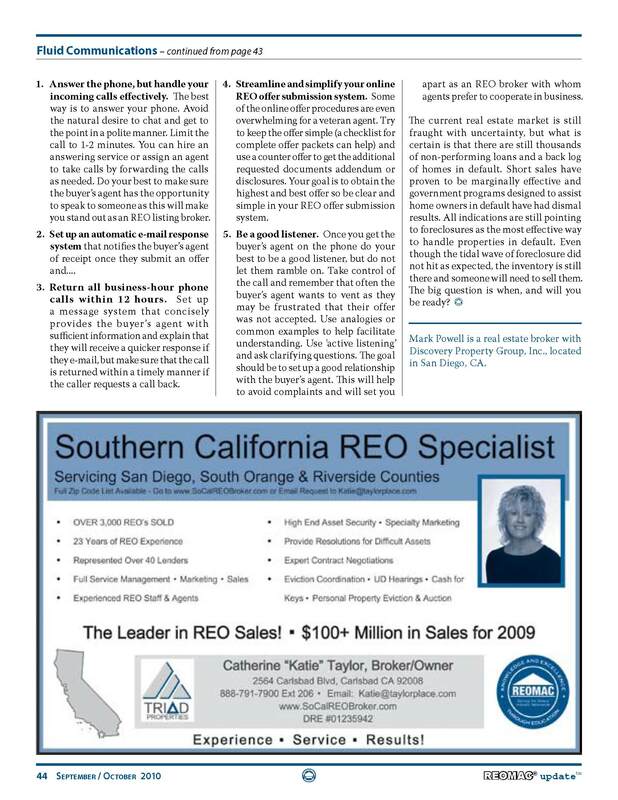 Short Sales Are the Superior Solution (April, 2013) For the most part, short sales are occupied REO’s. Many of the occupants have not made a mortgage payment in months and sometimes years. 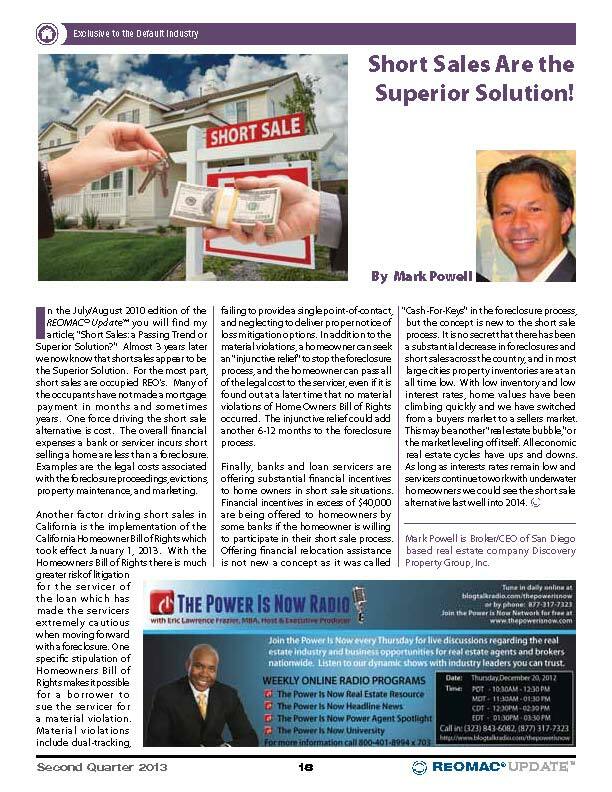 One force driving the short sale alternative is cost. The overall financial expenses a bank or servicer incurs short selling a home are less than a foreclosure. 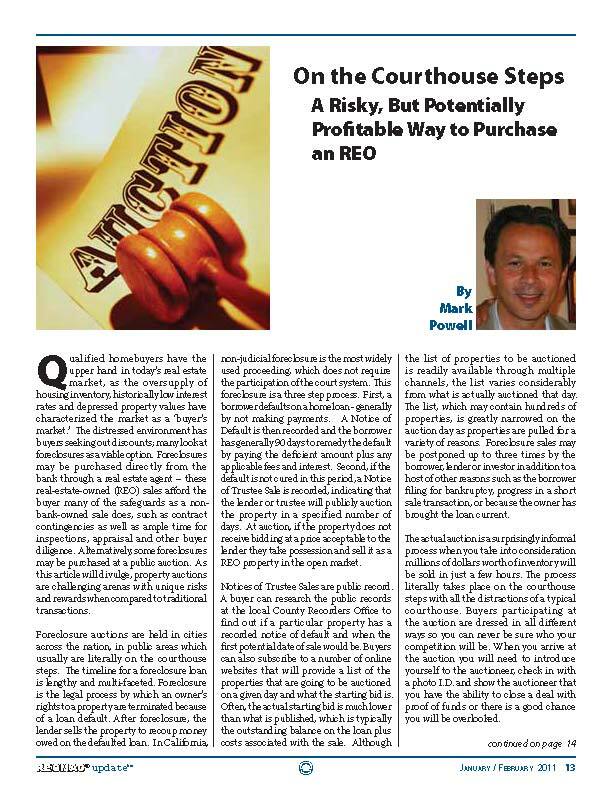 The Future of Real Estate Investing and the REO Agent (January, 2012) Today’s economic environment, despite being trying times for the majority of Americans, has created a unique and rare opportunity for those buyers with the ability and foresight to purchase an investment near what is accepted by many as a market bottom, thereby positioning the asset in a way to potentially capture maximum appreciation and return. This unique environment also has spawned the emergence of a new investor – the regular person looking for a sensibly priced investment. 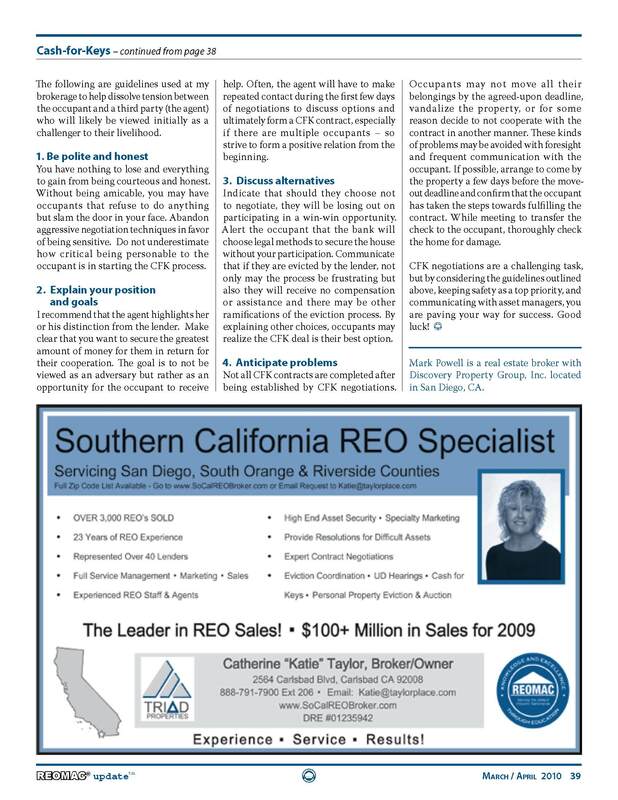 The REO Open House....Successful Marketing Strategy or Outdated Marketing Tool? 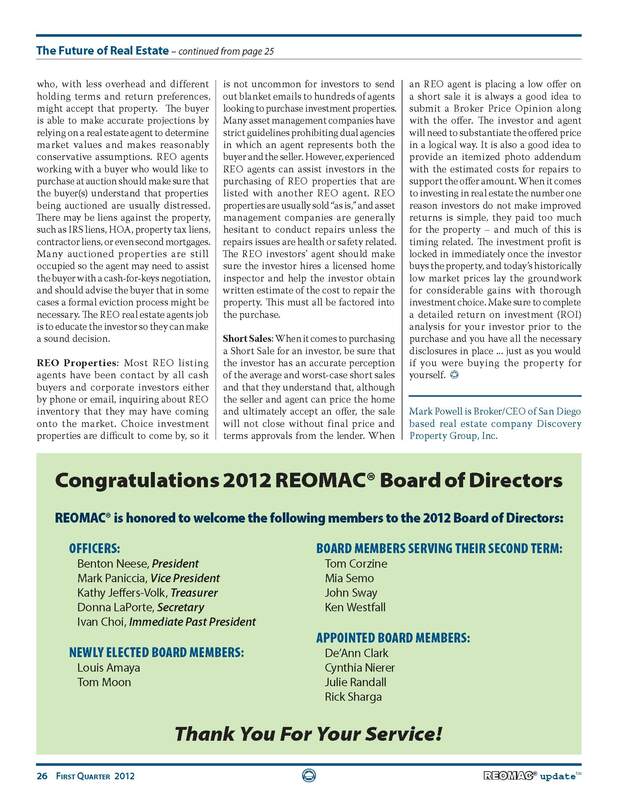 (September 2011) Listing agents are asked to hold their REO properties open for public viewing. Holding open houses can be a contractual requirement made by the owner/bank/investor or just strongly encouraged by the seller. Although holding open houses is a standard and proven marketing option, how does the effectiveness of REO open houses in today’s market? 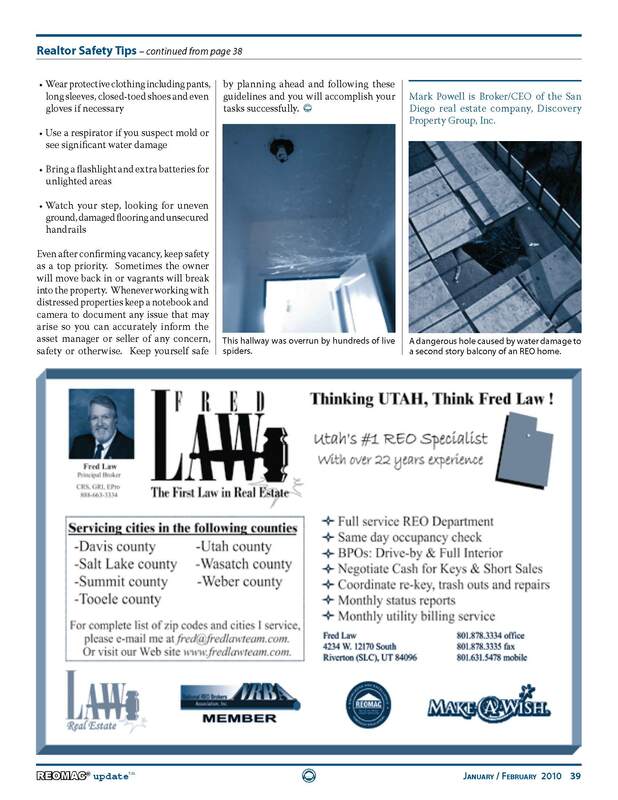 On the Courthouse Steps A Risky, But Potentially Profitable Way to Purchase an REO (January 2011) Foreclosures may be purchased directly from the bank through a real estate agent – these real-estate-owned (REO) sales afford the buyer many of the safeguards as a non- bank-owned sale does, such as contract contingencies as well as ample time for inspections, appraisal and other buyer diligence. Alternatively, some foreclosures may be purchased at a public auction. 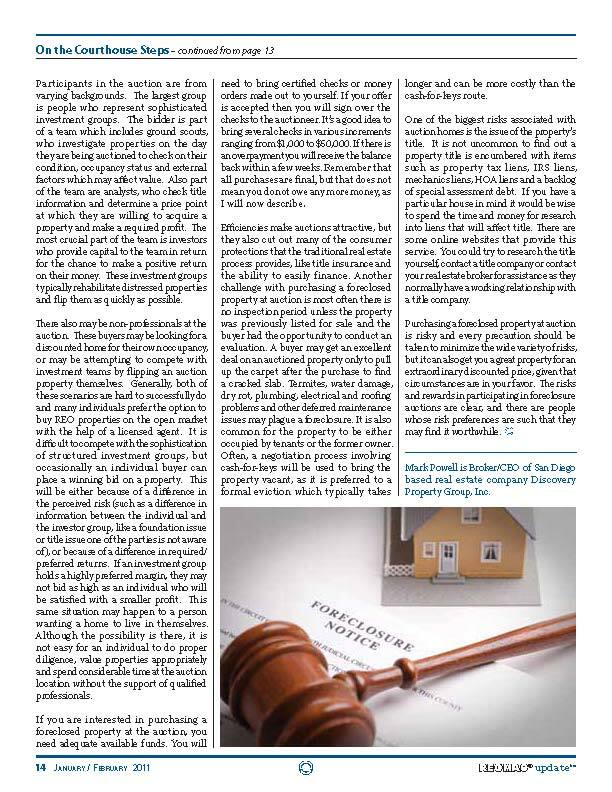 As this article will divulge, property auctions are challenging arenas with unique risks and rewards when compared to traditional transactions. 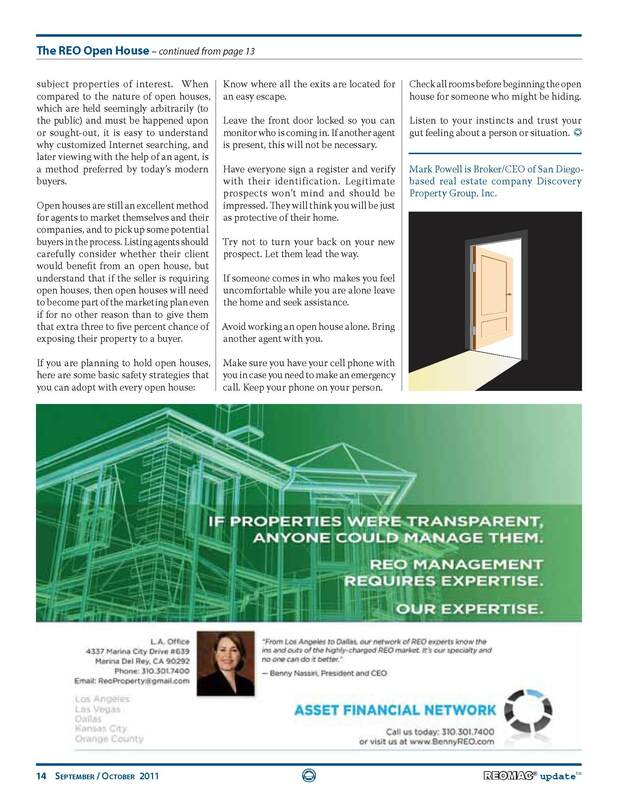 Realtor Safety Tips for REO Properties. 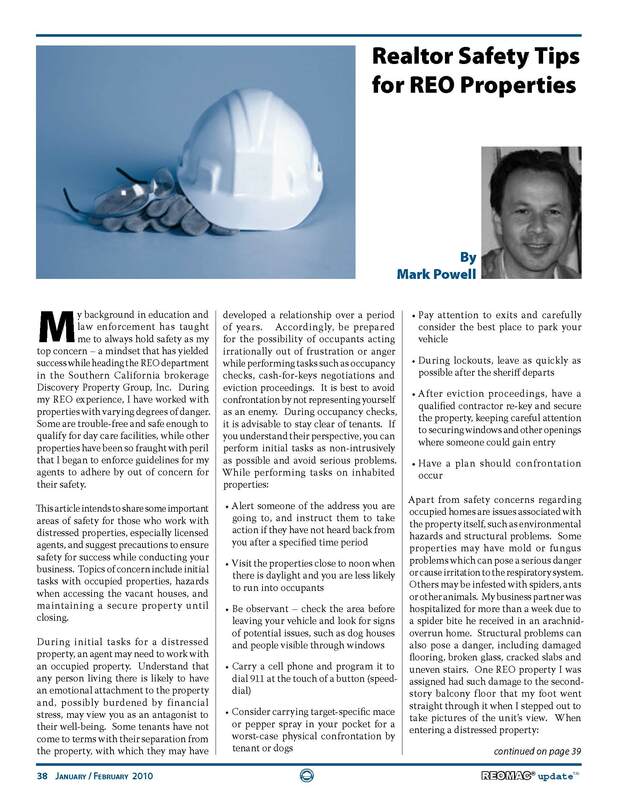 (January 2010) This article intends to share some important areas of safety for those who work with distressed properties, especially licensed agents, and suggest precautions to ensure safety for success while conducting your business. Topics of concern include initial tasks with occupied properties, hazards when accessing the vacant houses, and maintaining a secure property until closing. 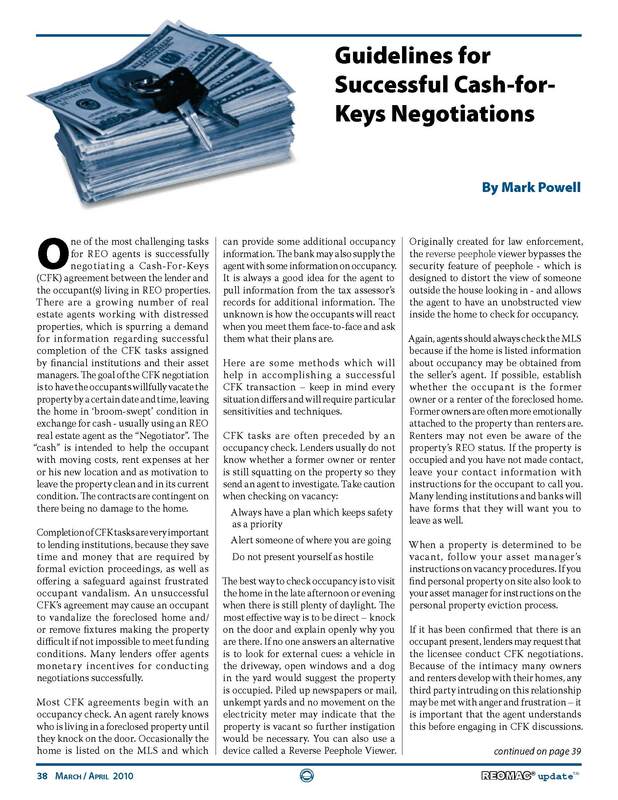 Guidelines for Successful Cash-for- Keys Negotiations (March, 2010) The goal of the CFK negotiation is to have the occupants willfully vacate the property by a certain date and time, leaving the home in ‘broom-swept’ condition in exchange for cash - usually using an REO real estate agent as the “Negotiator”. The “cash” is intended to help the occupant with moving costs, rent expenses at her or his new location and as motivation to leave the property clean and in its current condition. The contracts are contingent on there being no damage to the home. 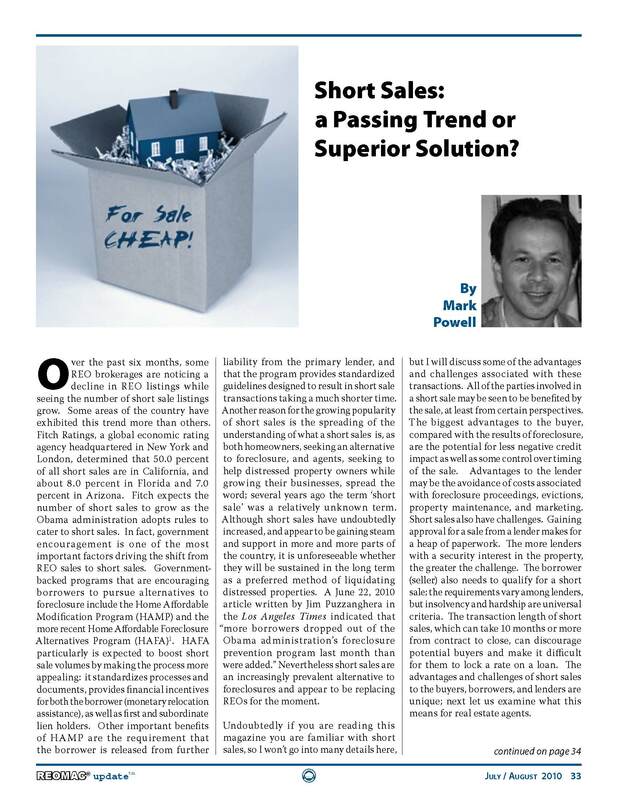 Short Sales: a Passing Trend or Superior Solution? 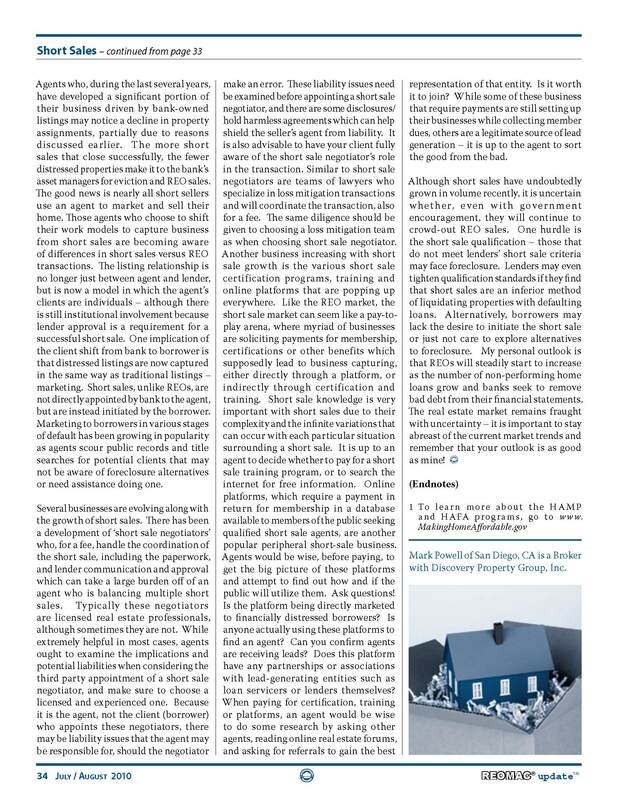 (July, 2010) Although short sales have undoubtedly increased, and appear to be gaining steam and support in more and more parts of the country, it is unforeseeable whether they will be sustained in the long term as a preferred method of liquidating distressed properties. 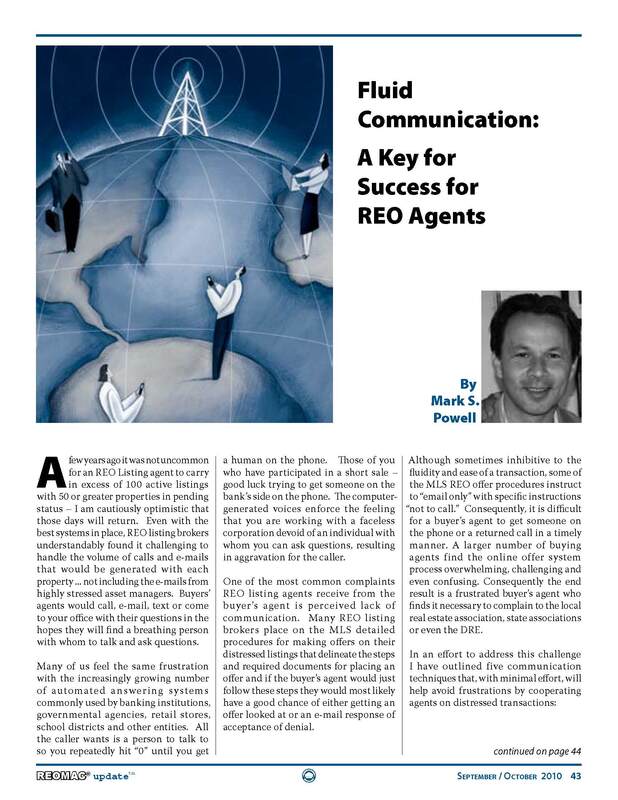 Fluid Communication: A Key for Success for REO Agents (September, 2010) In an effort to address this challenges that are associated with the sale of foreclosed properties I have outlined five communication techniques that, with minimal effort, will help avoid frustrations by cooperating agents on distressed transactions.